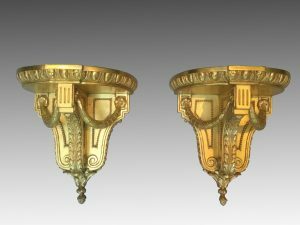 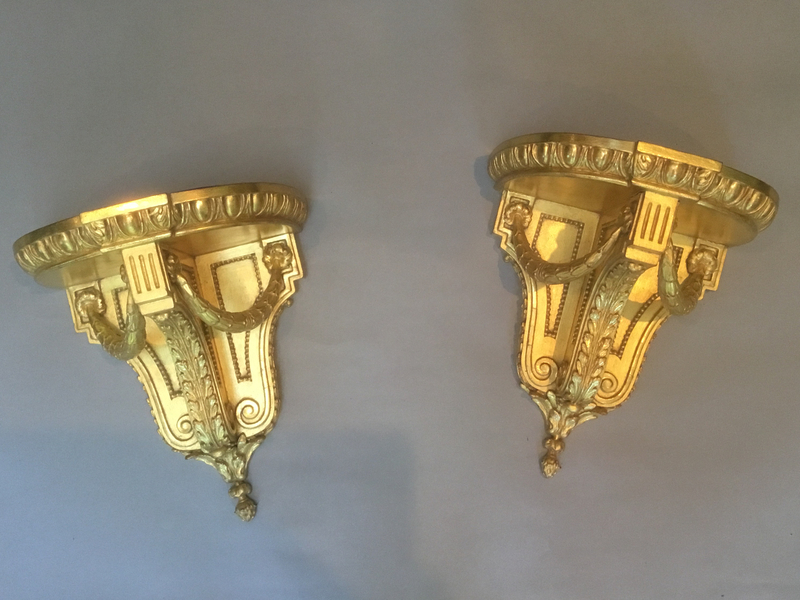 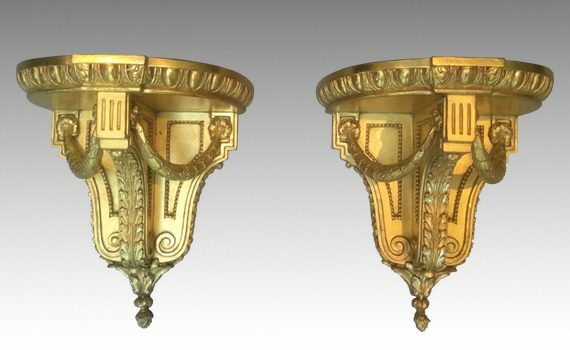 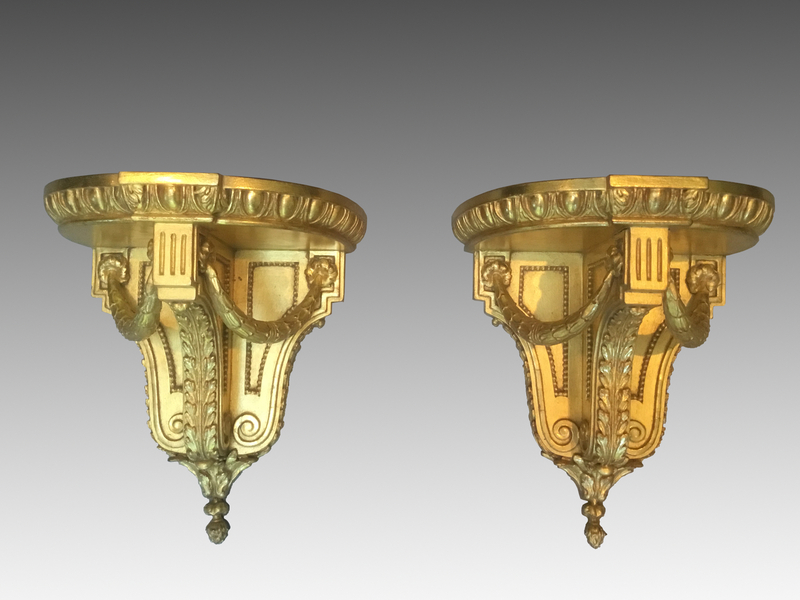 A pair of Victorian giltwood and gesso wall brackets. The shaped top with blue velvet pad, above an acanthus carved support hung with garrya swags. 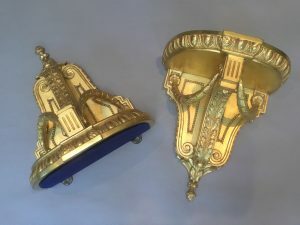 Regilt.